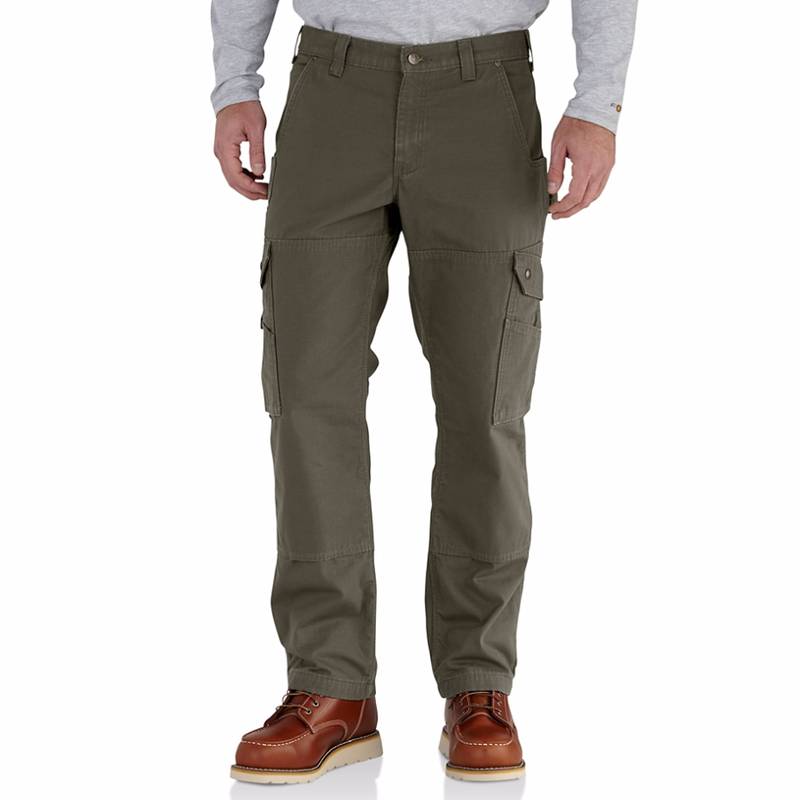 The Carhartt Men's Flannel Lined Ripstop Cargo Work Pants are comfortable and durable. These relaxed fit work pants include cozy flannel lining, gusseted crotch, Cordura®®-lined front & back pockets with additional utility & cargo pockets, and double-front knee padding. Made from 9.5-ounce cotton ripstop fabric, 3.8-ounce, 100% cotton flannel lining. This item is the same as the Carhartt Men's Flannel Lined Ripstop Cargo Work Pant.